This post contains affiliate links, I may receive a small commission if a product is purchased from the link. Apologies for the terrible bedroom shot. I only promote products I've tried myself and enjoy. 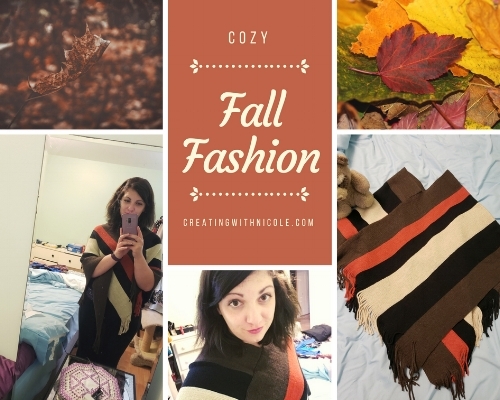 This is my new fall staple piece for 2018! This adorable and comfortable poncho from Amazon. It's available in multiple different colors depending on your style, I chose the orange one to support my pumpkin spice addiction. This time of year give me orange everything! I grabbed it on a lightening deal and it appears that deal is here to stay (at least for a little bit) I highly recommend picking one up for yourself!